I first came to anime through films, I’ve grown up watching animated films from Pixar, Disney, and Dreamworks so that means that watching anime films is an easy way to get into anime. These are my five favourite anime films, they are all directed by two different people Makoto Shinkai and Hayao Miyazaki (of Studio Ghilbi), hopefully I’ll be able to expand this favourites list to include a variety of directors once I’ve watched more films so any recommendations are very welcome. So here are my top 5 anime films! Are you ready to cry? Because you’ll definitely cry, and a lot. This film is in a deeply emotional story of a young brother and sister during war time, they have to look after each other while it feels like the whole world and the all the odds are stacked against them. 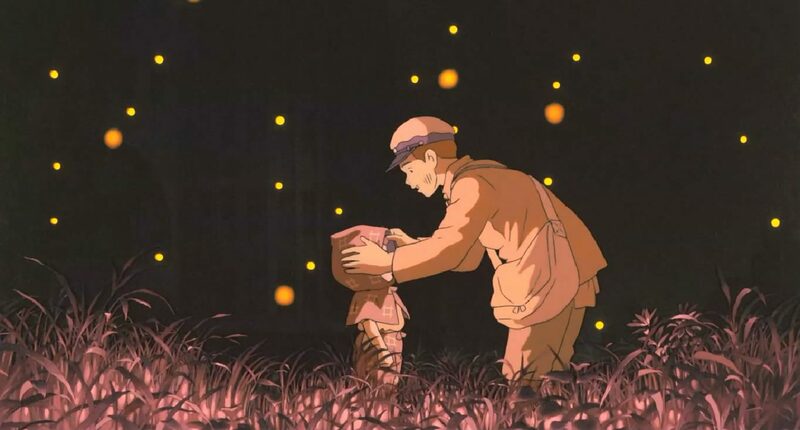 This was created as a double feature by Studio Ghibli alongside ‘My Neighbour Totoro’ and firmly put the studio’s name on the film making map. The animation is beautiful and portrays the story in a more effective way than real life child actors ever could. This is an absolutely heartbreaking film and once you’ve watched it it will stay with you for a very long time. The only reason it’s only at number five is due to the emotional intensity of the piece, this is not a film you can put on repeat. This is an antholgy film contains three separate stories which are connected by themes of youth, generational divide, change, technology, and personal identity. In some ways the three stories are love stories: one is about love for a friend, one is about sisterly love and self-love, and one is about love for food and the tradition and values that is represents. 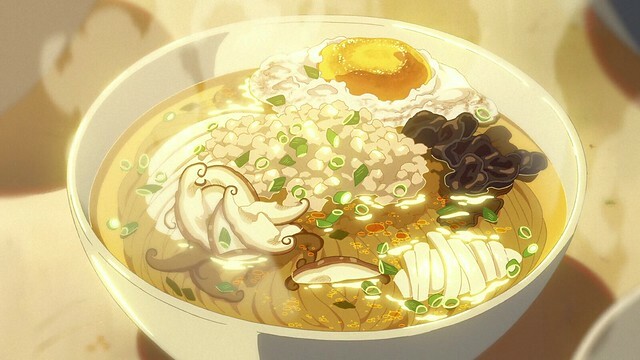 My personal favourite story from the trio was ‘Hidamari no Choshoku’ which is a story about a man’s love for a traditional noodle dish which he grew up eating, I love cooking so I really related to the feelings this dish represented to him – happiness and wholesomeness. I love this film because it’s so wholesome and pure. A family moves into a new house and the two young sisters discover a kind wood spirit in the trees near their new home, he is a sleepy, fluffy, kind, creature called Totoro. This film is about imagination, love, family, and nature; I find it very peaceful, the soundtrack is beautiful and the plot is unrushed yet dynamic. I love this film and Totoro so much in fact that I brought myself a backpack in the shape of his squishy body for my birthday. This film won a BAFTA, an Oscar, a Critics Choice Award, and countless other accolades in Japan. It also overtook ‘Titanic’ to become the highest grossing film in Japanese theaters. It is saturated with stunning visuals and features and complex plot marked by both comedy and tragedy. It follows a ten year old girl called Chihiro Ogino who while moving to a new home with her parents enters the spirit world, her parents through their arrogance and greed are turned into pigs by the spirits and Chihiro must work to find a way to free herself, save her parents, and return to the human world. 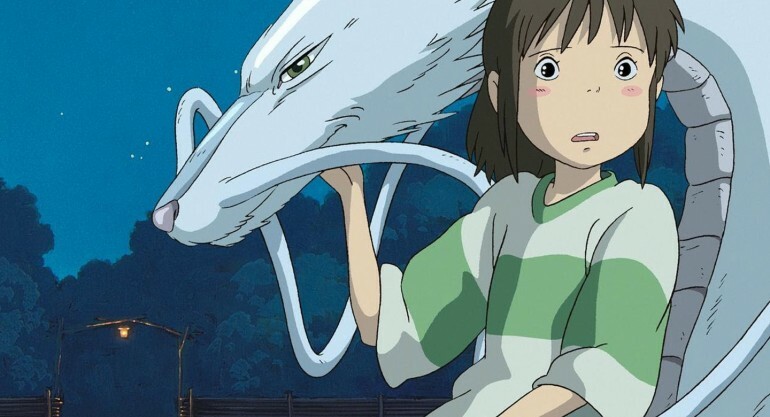 It has complex themes such as environmentalism, the generational divide in Japan, and corrupt consumerism; it can also be enjoyed as a beautiful coming of age story as Chihiro goes from being a timid little girl to becoming her own hero. This film is one of the most visually stunning films I’ve ever seen, including live action movies, which is why it makes the number one place. The plot, asides from the visuals, is enthralling. Mitsuha Miyamizu, a high school girl in a small rural Japanese town, one day wakes up not feeling like herself at all. On the same day in Tokyo Taki Tachibana, a high school boy with a part time job at a fast-paced restaurant, wakes up feeling strange. It transpires that they have switched places; they are existing inside the other person’s body for a day. This continues to happen to them for months and they develop a strong connection through the notes they leave behind for when they return to their true bodies. This connection between them could be described as fate, or destiny, it crosses time and space and is by no means happening by random. There is a constant motif of astronomy in the film symbolizing the ‘written in the stars’ connection that draws these two opposite people together. ‘Your Name’ is very meditative, the creator Makoto Shinkai uses silence and epic shots of scenery and skies to great effect. This makes the film feel very reflective and emotional.